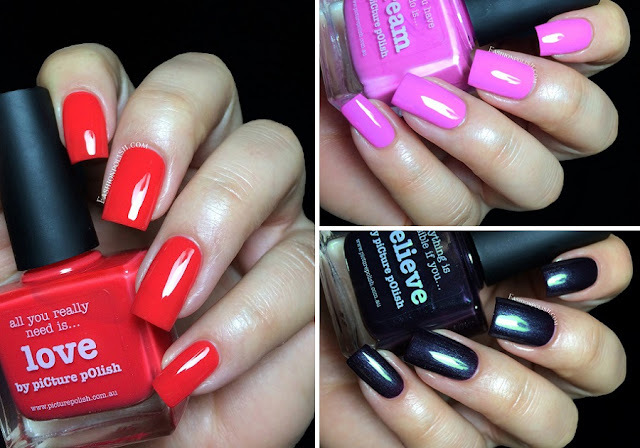 Fashion Polish: piCture pOlish "Inspire" shades : Dream, Love & Believe! piCture pOlish "Inspire" shades : Dream, Love & Believe! Hi everyone, I hope you're all having a great week so far! Mine is pretty much back to normal and I can finally enjoy my home and usual routine! I have a very special piCture pOlish collection to show you today, no special effects or collaborations but still special nonetheless. If you follow piCture pOlish on social media, you know that Jules, the brand ambassador, has been through a huge challenge this past few weeks : stop biting her nails! I've never been a nail biter myself but I can only imagine how hard that must be. So... To celebrate this and in honor of all the friends who showed Jules support, PP decided to release an Inspire trio featuring Dream, Love & Believe. 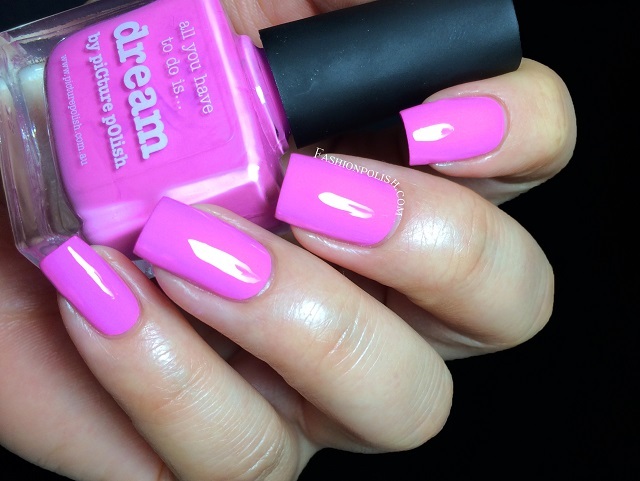 Dream is a medium pink-purple creme with a fantastic formula. Application was simply flawless, offering lots of control and coverage, barely requiring a second coat on shorter nails. This is 2 thin coats plus topcoat. 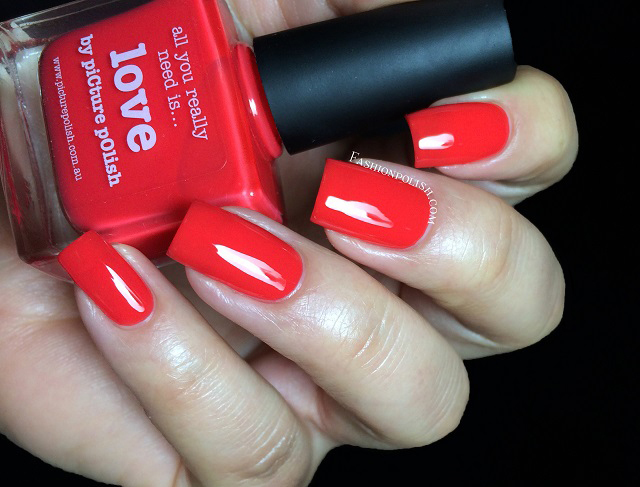 Love is a hot red jelly with a strong orange/coral hue. Application was easy and I was surprised by how evenly it applied. I used 2 coats and didn't feel the need for more but if you have something against a slight VNL, you might want to considered adding a third. Believe is a blackened eggplant purple with a strong and smooth green shimmer. I have NOTHING like it in my collection! Perfect for Fall and so unique. I also used 2 coats here and didn't experience any application issues whatsoever. 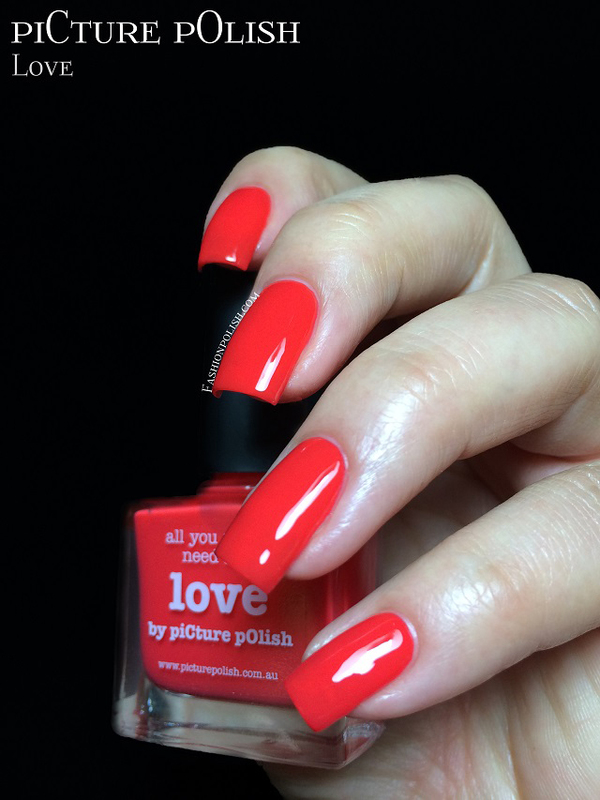 piCture pOlish can be found online on piCture pOlish.com.au or through their international network.